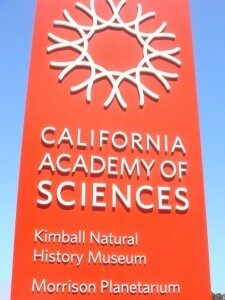 My long awaited visit to california academy of science became a reality yesterday. Overall the experience was good. We got there just after noon and found a free parking spot not too far from the museum. Got our “overpriced” tickets – $25 for an adult. They have as student discount – $20. Also, if you are taking public transportation to the museum, you can save $3 on a single ticket with the proof. We started with their main attraction – “The Rainforest “. It was undoubtedly great. Some of the flora and fauna I saw “live”, I’d seen only virtually on National Geographic. From equatorial plants to poisonous frogs and snakes to rare species of lizards – they have it all. The other attraction was the “Acquarium”. Its definitely one of the best I’ve ever seen. They have so many varieties of marine life on display that I got tired of seing them ! Following this, we headed over to the rooftop to see the rooftop gardens atop the academy building. Its amazing how they did all that. They have another attraction – The Planetarium – thats included in the standard ticket but we did’nt know that it has limited seating and needs reservation when one buys the tickets. An insider employee told me that on weekends the reservations run out in an hour from the time musem opens . If you want to reserve a spot for yourself for the Planetarium make sure you buy your ticket before noon and get your spot reserved before you start exploring the museum. All in all it was a decent but expensive experience. I’d give this a 3/5 rating on my weekend adventure. Check out the pictures here. Nice post 😀 I would rather give a 2 on 5 for it .Nothing was good except for the aquarium.